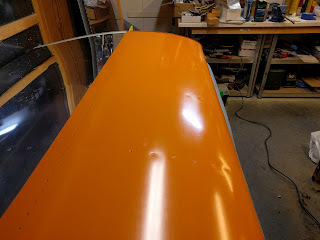 The paint on the wing leading edge became a bit too "orange skin" too my likings, so I decided to sand and polish them. I first wet sanded them in two runs with 1000 sand paper. 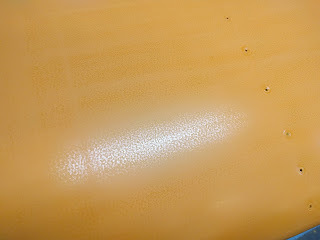 Then I used this rubbing compound and finally polished with yacht polishing, first creamy wax, then hard wax. 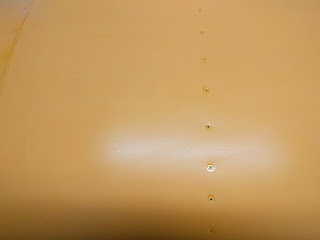 The paint I used, Power Coat 3 in 1, is a modified polyester, basically some kind of gelcoat, so using yacht polish seemed natural. 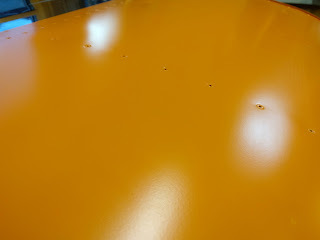 Waxing also makes it 10 times easier to wash.
Then after one and two runs of 1000 sand paper. 1000 sand paper makes it completely smooth. Then rubbing makes it even smoother. 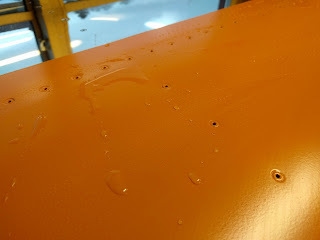 Finally the wax makes the surface hard and water repellent.